You’d think, given the number of short films I watch, that I’d be used to it by now but it always really suprises me at how much story can be fitted in to just a few minutes. 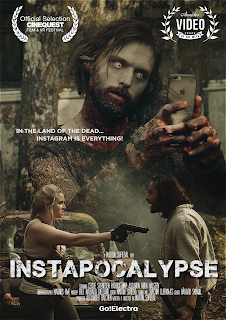 Instapocalypse, from Swedish director Martin Sofiedal, is no different. The whole film is only 4 minutes long and, within seconds, Sofiedal has conjured up a post apocalyptic world in an overgrown junk yard and evokes an ominous feeling of tension that a survival instinct kicks up. You can see the influences he took from computer games of a similar style. His first film was a fan film of the computer game Uncharted: Ambushed and the atmosphere in this film is very similar to that game for me. This ambience was created in no small part by the wonderful cinematography, shot by Magnus Owe. His use of lighting worked incredibly well with the set, making it seem at once both barren and desolate and humid and claustrophobic. The two main actors played off each other very naturally, making their characters believable and implying backstories that are neither confirmed nor denied. From the good natured camaraderie and humorous banter at the start, the build up of tension between them and their argument over the phone was convincing, as it became apparent that this item, a working phone, was more precious than anything to them. That their addiction to connecting on social media was (and is) much more than life or death. Talking of which, the physical fight scene when it comes, without giving anything away, was realistic although the zombie (yes I can mention him because you see him in the trailer below) really wasn’t – inasmuch as zombies could be realistic anyway but you know what I mean. He just seemed a bit... ineffectual. So this could have been a very entertaining short film and, mostly, it was. Apart from one really bad dialogue decision made very close to the end where everything about the apocalypse is explained in a single clunky statement, delivering an idea that was not only unnecessary to the enjoyment of the film, the clichéd aspect of it totally negated the rest of the world building for me. You can see that it was meant to be one of those groundbreaking “sardonic social commentary” moments but, for me, it was more of a head-desk “did they really have to” things, which is a shame. However, that said, I will follow Sofiedal’s forthcoming feature film ”Benjamin Falck & The Ghost Dagger” with interest as I would like to see what he can do on a grander scale. 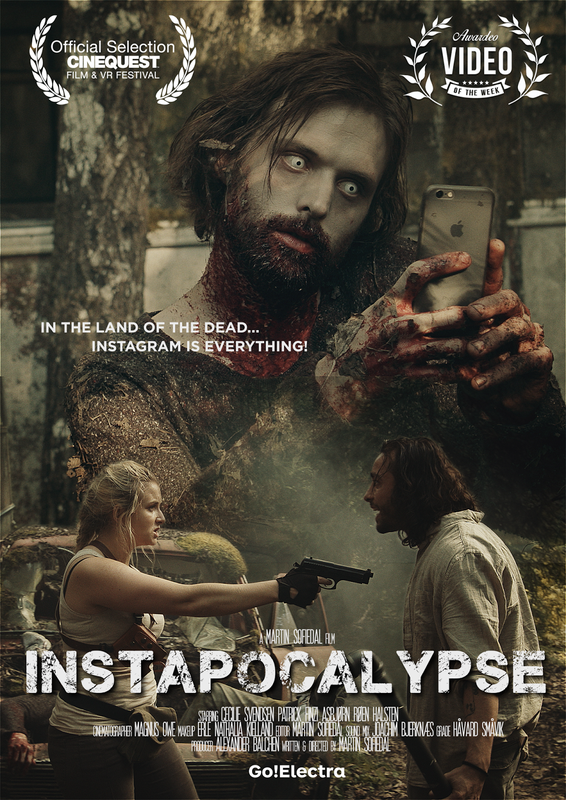 Instapocalypse is currently on at the Cinequest Film and VR Festival.